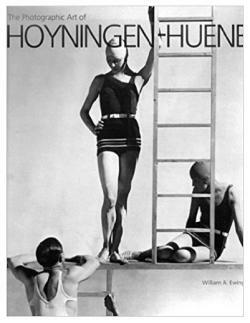 George Hoyningen-Huene (1900-1968) is remembered as one of the finest fashion photographers of the 1920s and 1930s. He was born in St. Petersburg, Russia, to a Baltic nobleman, the chief equerry to Tsar Alexander III, and an American mother whose own father had been the United States Minister Plenipotentiary and Envoy Extraordinary to the Russian court. Huene's early upbringing was one of privilege, though the revolution brought those advantages to an abrupt end: the family's properties were confiscated, and they were forced to flee for their lives. Huene settled in Paris. Dreaming at first of reclaiming his rightful heritage, he participated briefly in the British Expeditionary Force's disastrous campaign against the Reds in 1918. However, the fiasco taught him that there was no turning back the historical clock and that he would have to forge a new life for himself in the West. While the family chose exile in London, Huene settled in Paris, where he supported himself with a series of odd jobs, the most interesting being the role of an extra in cinema. Delighted to be in a city that so valued art, for which he had long harbored a passion, Huene decided to pursue drawing and painting, signing up for classes with the famed cubist instructor André Lohte. Huene was instinctively attracted to the world of couture, which he saw as another manifestation of art, and he was quick to grasp that a topflight fashion illustrator like Georges Lepape or Edouard Benito could command a high salary. Huene first put his drawing talents to work for Yteb, his sister Betty's dressmaking business, and by 1925 he had expanded his clientele considerably, selling illustrations to Harper's Bazaar, Women's Wear, and Le Jardin des modes. Never one to be chained to a desk, Huene teamed up with his new friend, the photographer Man Ray, to produce a portfolio of "the most beautiful women in Paris." Huene's role had only been to recruit the women, but Vogue's Main Bocher (later the couturier Main-bocher) was impressed with the ambitious project, and while he didn't accept it for Vogue, he took it upon himself to introduce the young man to Edna Chase, the editor-in-chief of the magazine. This led to his "first real job," as he put it, as an illustrator, though Huene always suspected that Chase's decision had more to do with Huene's access to the world of glamorous women than it did with his drawing skills. Huene fell into photography literally by chance, though in retrospect he seems to have been slowly gravitating toward the métier. He took every opportunity at the Vogue studio to help photographers with their sets and lighting, and when one of the photographers did not appear one morning in 1926, Huene stepped in. Thus begun a ten-year photographic collaboration with Vogue. "Ionic columns rose alongside factory smoke-stacks, Greek temples alongside railroad tunnels and depots … and the ladies and gentlemen of Paris, London, New York and Biarritz enjoyed the sunshine among pedestals from which the gods of ancient Greece looked down in naked silence, between snorting stallions and muscular heroes. " Greek columns, temples, and statuary were common motifs in Huene's imagery; thus enobling the clothes. Not surprisingly, he admired the couture of Madame Grès ("fluid, harmonious and sculptural"), Madame Vionnet ("Her clothes were built like great architecture"), and Coco Chanel, whom he appreciated for her "absolute assurance of her own talent, competence and authority." "In addition to directing the activities of his assistants the photographer plays the clown, the enthusiast, the flatterer. He acts and talks about other things while his mind is watching the building up of the picture-its lights, shadows and lines; its essential fashion photograph requirements-distinction, elegance, and chic. " Huene also absorbed a great deal from painters, and two friends made particularly strong impressions: the painter and fellow Russian Pavel Tchelitchev, who accepted commissions for magazine covers in addition to his own personal art work and could be as enthusiastic about workman's clothes and army surplus gear as he was about haute couture; and Christian Bérard, an artist famed for his Dionysian temperament that was poles apart from Huene's own more own Apollonian sensibilities. Huene also followed developments in cinema and photography. He rubbed shoulders with personalities as diverse as the French photographer Henri Cartier-Bresson, the American dancer Josephine Baker, and the Armenian mystic G. I. Gurdjieff. He played bit roles in movies and even tried his hand at making three films, all of which were subsequently lost. Although his fashion work has long been given its due, his exquisite portraiture has not received the attention it deserves. His photographs of his great friend and fellow photographer Horst P. Horst, the authors Jean Cocteau and Janet Flanner, the composer Igor Stravinsky, the photographers Baron de Meyer and Cecil Beaton, the actor Johnny Weismuller, the painter and sculptor Alexander Calder, Coco Chanel, and dozens of other celebrities of the day, never resort to formulaic poses or superficial flattery but always find a way of signifying their subjects' originality. The second significant period of Huene's fashion photography (though it could never match his Paris output) was spent at Harper's Bazaar in New York, where he arrived in 1935. Although Huene continued to innovate, the magazine's art director, Alexey Brodovitch's, penchant for bleeding photographs off the page and over-laying graphic elements on the image undermined the integrity of Huene's exquisitely balanced compositions. Gradually he began to lose interest in his photographic work. American fashions could never match their French counterparts; the problem solving that had once given him so much pleasure no longer did so, and the business-is-everything climate of New York was increasingly discouraging. Huene escaped, temporarily, to the ancient world of the Middle East, looking for spiritual renewal. He found solace on grand voyages across Africa and Arabia. One beautifully written book, African Mirage, the Record of a Journey (1938), came of his travels, and other journeys resulted in equally fine photographic albums (Hellas in 1943; Egypt in 1943; Mexican Heritage in 1943; and Baalbek/Palmyra in 1946). In the mid-1940s Huene abandoned fashion photography, leaving it to a new generation less committed to his prewar ideal of elegance. He famously greeted the young Richard Avedon, just beginning his own career in photography, with the words, "Too bad, Too late!" His mind was increasingly set on travel-especially spiritual explorations-and he was willing to try new ways of earning a living. He taught photography at the Art Center School in Pasadena, California, experimented briefly with drugs under the guidance of Aldous Huxley, and served as a color coordinator for several filmmakers such as Jean Negulesco, Michael Kidd, Michael Curtiz, and most notably, George Cukor, who became a great friend. Hoyningen-Huene first exhibited in a Parisian group show in 1928, in the Premier Salon indépendant de la photographie, and was invited to show several works at the seminal Film und Foto exhibition in Stuttgart in 1929. He did not show his work again until 1963, when he was selected for Cologne's influential Photokina exhibition. However, it was only after his death that he was acknowledged by two important collective exhibitions: Fashion Photography: Six Decades, shown at the Emily Lowe Gallery at Hofstra University, Hempstead, New York in 1975, and History of Fashion Photography, held at the International Museum of Photography in Rochester, New York, in 1979, and with a full retrospective, Eye for Elegance, at the International Center of Photography in New York. In the interim, fashion photography had been treated as a minor commercial vein, and books and exhibitions rare, though one exception should be noted: Glamor Portraits, held at the Museum of Modern Art in 1965. George Hoyningen-Huene died of a heart attack at his home in Los Angeles in 1968. His outstanding contribution to fashion photography is unquestioned, and he broadened this field with his erudition and his flair. In the final analysis the full range of his photography must be considered in any appreciation. His legacy is as a coherent system of images, chiefly of fashion and portrait studies, which were characterized by precision, economy of means, harmony, elegance, and psychological acuity. See also Fashion Photography; Film and Fashion. Cecil Beaton. 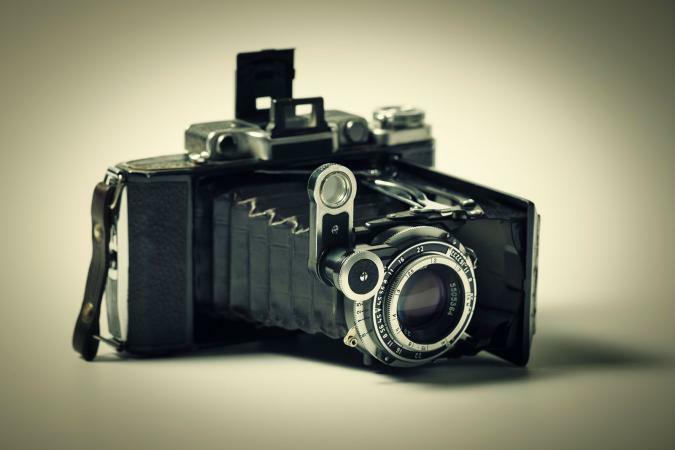 The Magic Image: The Genius of Photography from 1839 to the Present Day. Boston: Little Brown, 1975. Devlin, Polly. 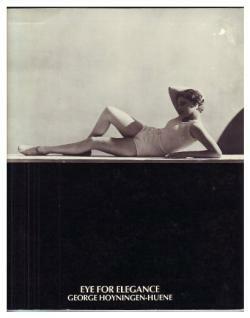 Vogue Book of Fashion Photography 1919-1979. New York: Simon and Schuster, 1979.